Who can qualify in Georgia for a sales tax exemption on utilities? Any industrial processor or manufacturer can qualify for a sales tax exemption on utilities. A utility study is required for electric, natural gas, or water for each meter that has production usage. If the percentages of production consumption meets the usage requirement below, the account will be tagged as exempt and state and local sales tax will be reduced and reflected on the bill according to the schedule described below. How can one obtain the sales tax exemption on utilities in Georgia? A company must file the special utility sales tax exemption form ST.5M with the utility company. The exemption from sales tax follows the phase in schedule below. What is required for the utility study? The utility study is what determines qualification for exemption. The study consists of listing every piece of equipment that uses the utility in production along with its annual KWH consumption. In addition, a similar listing and annual consumption is required of everything using that utility for non-production. It is from this study that the exemption % of any meter is determined. Inaccurate listing is cause for denial. How is the exemption reflected on the utility bill? There are two options. The utility company may exempt the full extent of the exemption per the above schedule and reflect the reduction on the entire utility bill (per meter); and then the taxable portion is added to the use tax and remitted accordingly. Or the percentage of exemption (per schedule) may be reflected on the bill and no additional reporting on the use tax. 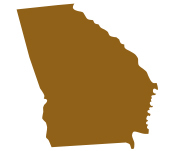 What is the scope of work of a Professional providing the Utility sales tax exemption work in Georgia? Utility Study: On Your Mark performs the utility study and evaluation at no charge. If the meter(s) do not qualify, and there are no savings, then there is no charge by On Your Mark. If a meter(s) do qualify, On Your Mark completes and files the required certificates and documentation. Only if savings are obtained, does On Your Mark bill for the agreed upon fee for services provided. Claim for Refund: On Your Mark will evaluate the potential for a sales tax refund, and if appropriate will file a refund claim for sales tax paid on an exempt meter. After 2013, the exempt meter may qualify for up to 36 months of refund. Minimize time and frustration: The utility study and the documentation required is a time consuming and frustrating project – especially if one has to deal with the learning curve. Wasted time and frustration is eliminated by having this contracting work done outside. Risk-free Method to Obtain the Utility Sales Tax Exemption – in the shortest amount of time: On Your Mark provides the utility study at no charge; and the client is only charged a fee after savings are obtained. So no savings, no fees. On Your Mark typically has the Georgia Sales Tax Exemption Certificate on Utilities filed within 30 days of authorization to proceed.